Literally Beachfront - Walk bare feet from your living-room on to the beach. 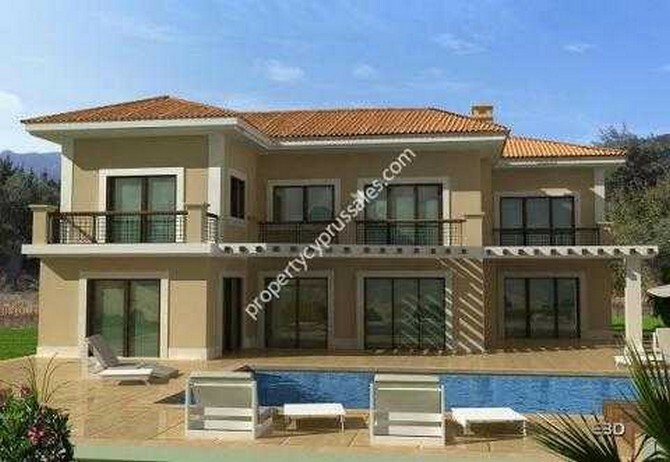 Perfectly situated, Beach Villas in Esentepe will be the pre-eminent seafront homes of Cyprus. This premier gated estate promises to surpass all others in terms of location, quality and prestige to become North Cyprus’s ultimate lifestyle address. These prestigious villas are set on huge individual plots, affording ample space for private leisure areas. Lush gardens feature open-air terraces and impressive infinity pools that seemingly cascade into the azure blue waters beyond. 4 double bedrooms, 4 en-suite bathrooms, spacious terraces at the back and front with large sea-facing patios opening up to the beach. Large panoramic living-room with separate dining area and kitchen. Marble throughout. Enjoy endless balmy evenings entertaining al fresco in this heavenly setting. A magnificent backdrop of rolling verdant hills and conservation land invites a sense of unrivalled beauty and tranquillity. The incomparable countryside and panoramic sea view will simply take your breath away. In a place where golden sun-warmed sands are caressed by the gentle lapping waters of the Mediterranean, Esentepe Beach Villas offer you a piece of paradise. 10 x 5 Overflow Swimming Pool Square end Design plus patio around the pool Colour and choice of slabs. Full landscaping including gravel, lawns trees and plants to an agreed design. Ceramic or Marble wall tiling between base units & cupboards of your choice of colour. Top quality fitted kitchen units – (base & wall) with Granite work tops & top branded White Goods intergraded.